The Spintec 3g Latex Allie Shrimp Flying C' Fly (F.C. Fly), is available in 9 colour options and two weights. The F.C. 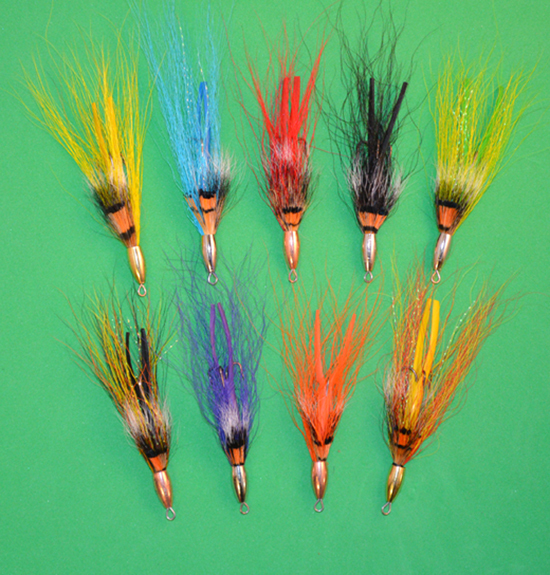 Fly was developed by Morris at Spintec with over 60 years experience fishing for Salmon and Sea trout with both Fly and Spinner. Specially developed for high water Fly Fishing and rivers such as the Wye where certain beats don't allow spinning. We recommend using with floating lines from 7# and upwards. Assembled in Ribchester, England using high quality components including a miniature Spintec manufactured Latex Flying C' Body (which don't rip and fall apart like some Silicone tube bodies), and a hand tied in Lancashire Allie's Shrimp head. We assemble with high quality stainless wire, a solid brass bullet head which we electroplate and a superb barbed treble (size 8). We don't cut corners to make cheap, poor quality lures!